Dr. Shteynshlyuger is a fellowship trained urologic surgeon with expertise in robotic surgery for prostate cancer. He also offers personalized counseling on prostate cancer treatment options to his patients. In addition to robotic surgery, he offers a full spectrum of proven treatment options for prostate cancer including radiation treatment, active surveillance and other modalities that are appropriate to each individual patient. 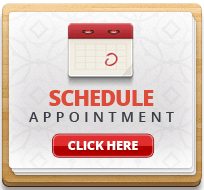 Make an appointment with Dr. Alex Shteynshlyuger to discuss the treatment options that are optimal for you. You will also be evaluated for robotic surgery if that’s a good option for your condition. Traditional open urologic surgery – in which lower abdominal incisions are made to access the prostate – has been used when surgery is warranted. Yet common drawbacks of this procedure include significant post-surgical pain, a lengthy recovery and an unpredictable, potentially long-term impact on continence and sexual function. In the late 1990s, another evolutionary stage in the development of surgical technique was achieved with the application of robotics to surgical technology. At the forefront of this new era, Intuitive Surgical introduced the da Vinci® Surgical System. The da Vinci features wristed instruments with seven degrees of freedom, three-dimensional, intuitive visualization and ergonomic comfort. These innovations created the preconditions for minimally invasive solutions to complex procedures in a wide range of surgical specialties. Minimally invasive robotic surgery using the da Vinci® Robotic System, is being used by Dr. Alex Shteynshlyuger for radical prostatectomy and other urologic procedures. This minimally invasive approach, utilizing the latest in surgical and robotics technologies, is ideal for delicate urologic surgery of the prostate. This includes prostatectomy, in which the target site is not only tightly confined but also surrounded by nerves affecting urinary control and sexual function. Using da Vinci , your surgeon has a better tool to spare surrounding nerves, which may enhance both your recovery experience and clinical outcomes. Learn more about minimally invasive da Vinci Surgery. While clinical studies support the effectiveness of the da Vinci Surgical System when used in minimally invasive surgery, individual results may vary. There are no guarantees of outcome. All surgeries involve the risk of major complications. 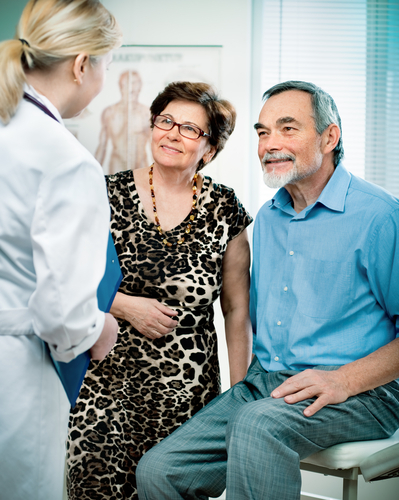 Before you decide on surgery, discuss treatment options with your doctor. Understanding the risks of each treatment can help you make the best decision for your individual situation.Surgery with the da Vinci Surgical System may not be appropriate for every individual; it may not be applicable to your condition. Always ask your doctor about all treatment options, as well as their risks and benefits. Only your doctor can determine whether da Vinci Surgery is appropriate for your situation. The clinical information and opinions, including any inaccuracies expressed in this material by patients or doctor about da Vinci Surgery are not necessarily those of Intuitive Surgical, Inc. and should not be considered as substitute for medical advice provided by your doctor. All persons depicted are models unless otherwise noted. © 2012 Intuitive Surgical. All rights reserved. Intuitive, Intuitive Surgical, da Vinci, da Vinci S, da Vinci Si, Single-Site, InSite, TilePro and EndoWrist are trademarks or registered trademarks of Intuitive Surgical. All other product names are trademarks or registered trademarks of their respective holders.